An OLED display works without a backlight. Thus, it can display deep black levels and can be thinner and lighter than a liquid crystal display (LCD). In low ambient light conditions such as a dark room an OLED screen can achieve a higher contrast ratio than an LCD. OLED technology is used in commercial applications such as displays for mobile phones and portable digital media players, car radios and digital cameras among others. OLED 9664 display module is a compact 256 or 65,536 colours RGB graphic display module from DFRobot.It embeded an 0.96" OLED with 96x64 RGB pixels.Because of the advantages of OLED technology,the module own wider viewing angles and improved brightness compared with the character LCD. The driver chip of OLED module is SSD1331. So it's designed to be driven via 3-wire SPI interface, which is a easier and small number I/O occupied way. 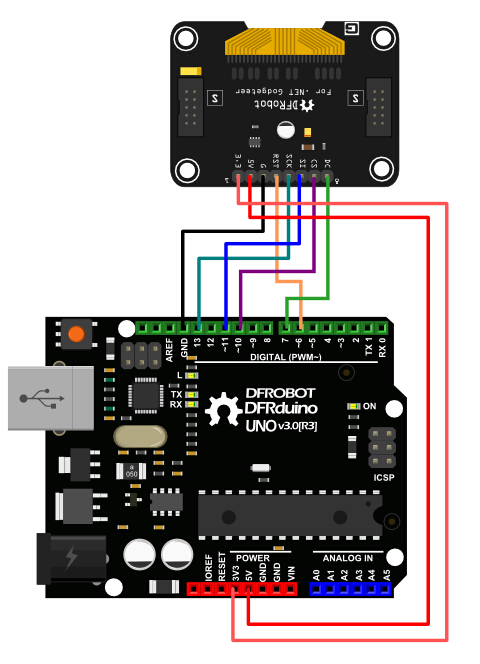 With the Arduino OLED library, you get a simple solution for drawing everything you want. The simple to use library functions can produce text in a variety of sizes as well as draw colorful shapes (which can include user definable bitmapped characters such as logos). This module directly support Arduino controllers.And it works with .NET gadgeteer series controllers and Dreamer Mega controller as well. Using the IDC10 connectors make it possbile to be driven by .NET Gadgeteer-compatible mainboard as well as the Dreamer Mega .NET Gadgeteer style easy to use microcontroller based on Arduino. 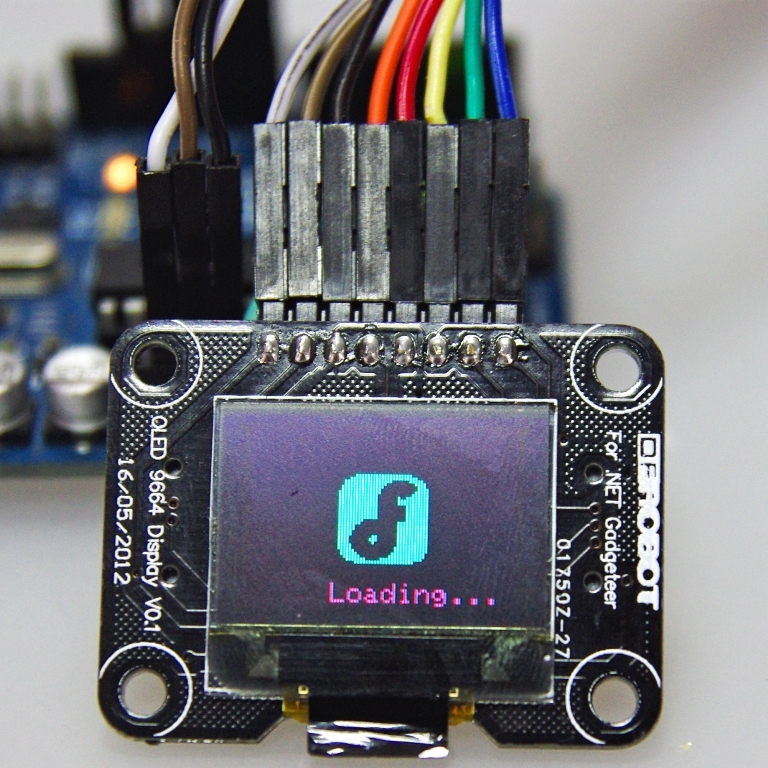 Get OLED 9664 color display module from DFRobot Store or DFRobot Distributor.